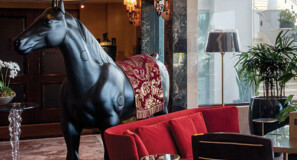 The Condado Vanderbilt Hotel offers amenities that all your guests will enjoy. But also, our hotel elegantly sits in one of the most coveted locations in Puerto Rico. Our vibrant surroundings and all that Puerto Rico has to offer will make for an unforgettable experience. From exquisite world-renowned cuisine to a luxurious spa, we have all you need to make your stay unforgettable. Ashford Avenue is the epicenter of luxury addresses in Puerto Rico. Located close to colonial Old San Juan, Condado offers the best of both worlds. 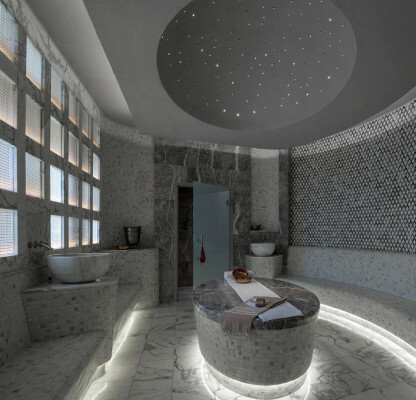 Reflecting a new spirit in relaxation, The Spa at Condado Vanderbilt Hotel offers the generosity of time, with experiences that bring powerful results through our unique methods, distinguished treatments and our exclusively selected, high performing products. Spacious and grand, yet surprisingly intimate, the Vanderbilt Court is the epicenter of the San Juan nightlife scene. Amidst uninterrupted sea views and exotically patterned fabrics, guests may lounge on contemporary sofas and lounges while enjoying appetizers and expertly mixed cocktails. There’s an old saying that states “in vino veritas” (in wine there is truth) and it only seems appropriate that our wine bar is named Veritas. Located at the Vanderbilt Court, Veritas cellars handle over a thousand bottles of the finest wines around the world. Marabar Martini Bar and Lounge might just be the coolest bar in Puerto Rico. 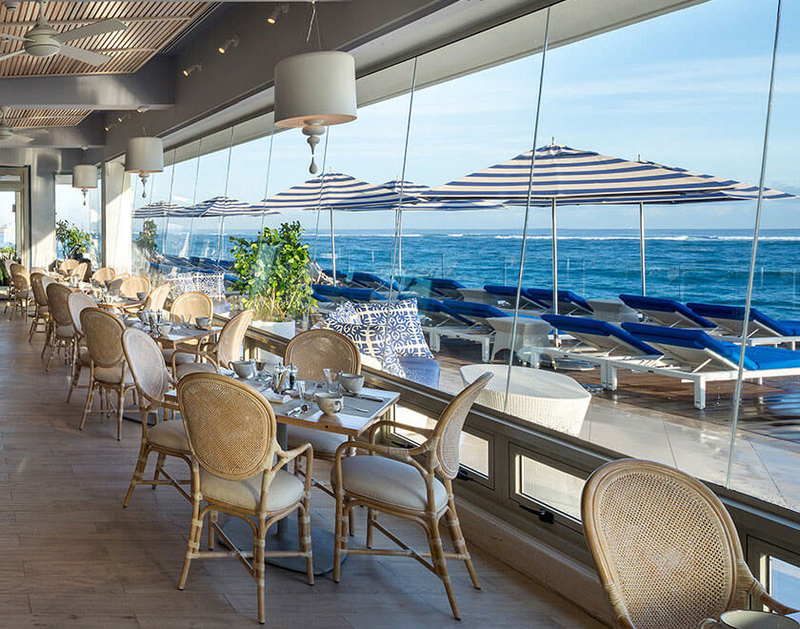 Order up an exotic cocktail and settle in to enjoy live renditions of live piano or jazz trio as you take in the spectacular views of the Atlantic Ocean just beyond the windows. As the unofficial meeting place of the Condado Vanderbilt Hotel, the elegant Avo Lounge somehow manages to energize and soothe guests all at once. Avo Lounge is a particular favorite among cigar lovers, with high-end brands available for enjoyment onsite. 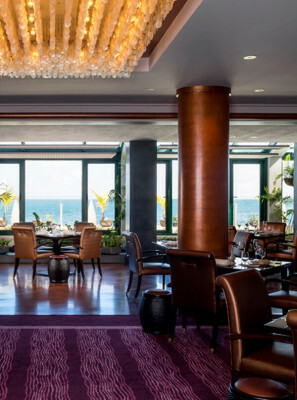 An ode to the palate, Ola Ocean Front Bistro complements Puerto Rican cuisine with a majestic Atlantic Ocean view. Chef Natalia Rivera shows her passion for the heritage of Latin flavors through dishes made from fresh local products in a relaxed and family friendly environment. 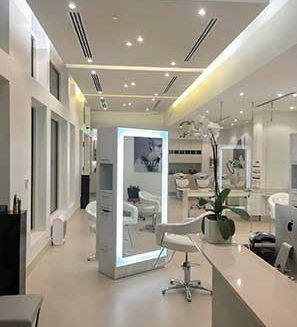 Peter Cardón has arrived to the Condado Vanderbilt, to redefine the salon experience. The refined and modern ambiance is at the same time relaxing and welcoming. Not only will you look your best, but feel your best, for your special day. Right in the heart of Condado sits this Window to the Sea. Here you and your guests can enjoy numerous musical activities, such as Ventana al Jazz the last Sunday of every month or movie nights mostly on Saturdays. Old San Juan is our colonial city. There’s so much to see, explore, and shop that this could easily be a complete day activity. Walk on the same cobblestones as colonial Spaniards did 500 years ago. Enjoy the gentle Morro breeze and enjoy cuisine and art like no other. 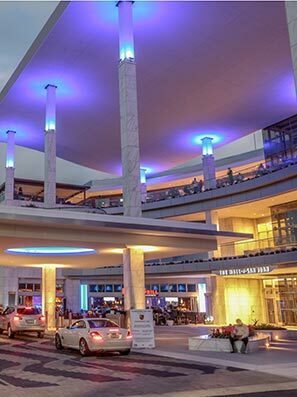 The newest luxury mall in Puerto Rico hosts high-end stores such as Versace and Gucci. Beautifully built, Mall of San Juan offers experiences to please even the most exigent shopper. The biggest mall on the Caribbean, Plaza las Américas has stores for everyone. From known department stores to specialty stores, a remodeled Dining area and a cinema, there’s something here for the whole family. Accessible from Ventana al Mar, Condado beach is perfect for bathing under the Caribbean Sun with a good book or cocktail in hand. Discover why Puerto Rico is the rum capital of the world. Tour the facilities and learn the history of one of the most famous rums in the world. This contemporary art museum not only houses a rich permanent exhibition, but also has sculptures and art expressions throughout its intimate gardens. Here you can go sit by the koi pond and reflect about this oasis in the city and all the beauty surrounding it. If you or your guests enjoy activities such as kayaking and Paddleboarding, Condado Lagoon offers the perfect opportunity to practice sports that can help calm the pre-wedding jitters. Who knows? Maybe you’ll get to experience a close (friendly) encounter with the manatees that normally are found in the area.